“My oeuvre focuses on impacts of urbanization and gentrification, civic rights and participatory citizenship, documentary sustainability of local cultures, devastation of nature caused by humankind. Cities are arenas in which inhabitants shape their idiosyncratic mode of living and their shelters. They happen to be the reflection of the societies that erected them, you can read into a culture from the settlements they built / build. They are open air anthropology / ethnography museums where you can observe the real soul, in other words the genius loci. I see producing documentary / fictitious works on the sustainability of cultural, architectural heritage and memory as a form of involvement and resistance. While doing this, I aim to defamiliarize ordinariness and make the resulting visuality provide basis for an unexpected perception. Mungan goes on as follows: “In my opinion, Murat Germen’s eye has a cinemascopic sensitivity. Germen’s photographs also have a textual sub-structure; his photographs demand not only to be seen, but also to be read…”. Murat Germen is an artist, academic and archivist using photography as an expression and research tool. Born 1965, he currently lives and works in Istanbul and London. He has a MA degree from Massachusetts Institute of Technology, where he went as a Fulbright scholar and received AIA Henry Adams Gold Medal for academic excellence. He works as a professor of art, photography and new media at Sabanci University in Istanbul. He have many papers, photo series on architecture, photography, art or new media published in various publications ; he has lectured at tens of conferences internationally. His oeuvre focuses on impacts of overurbanization and gentrification, civic rights and participatory citizenship, documentary sustainability of local cultures, human devastation of nature. He has two monographies, one published by Skira (Italy) and the other by MASA (Turkey). He has joined over eighty solo or group exhibitions in Turkey, USA, Italy, Germany, UK, Mexico, Portugal, Uzbekistan, Greece, Japan, Russia, Ukraine, Bulgaria, Poland, Iran, India, Australia, France, Canada, Bahrain, South Korea, Dubai, China, Sweden, Switzerland, Egypt. 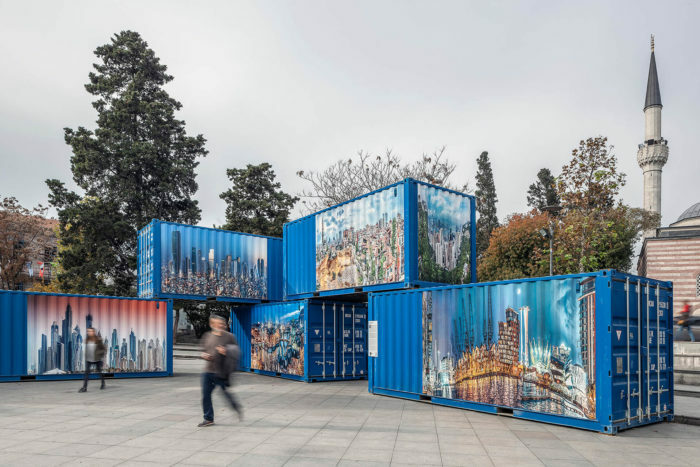 Series publicly displayed on containers during the FOTOISTANBUL international photography festival. 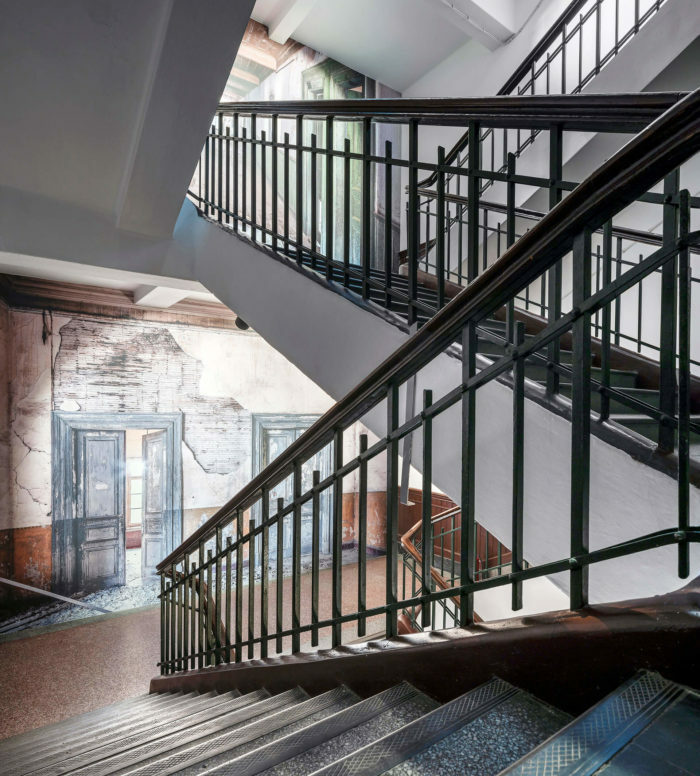 Murat Germen, Two works on Istanbul from the "Muta-morphosis" series featured and displayed at the Daegu Photo Biennale Korea, 2016.
for the group exhibit "206 Rooms of Silence, Etudes on Prinkipo Greek Orphanage", Greek Primary School, Istanbul, 2018. 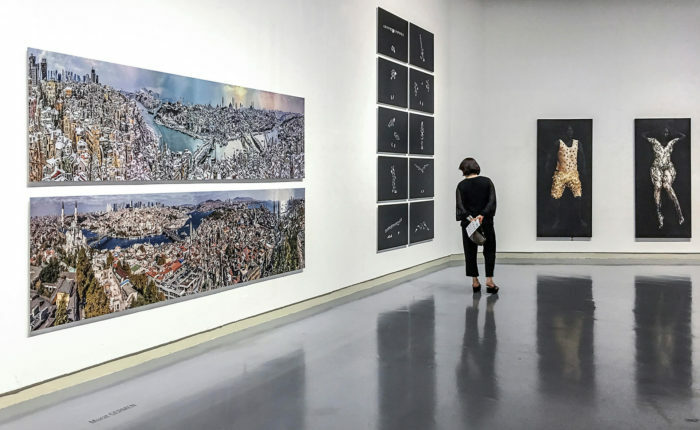 Murat Germen, Installation at a group exhibit titled "Brid6e, Photographers in Galata", at the Istanbul Modern photography gallery, 2007. Murat Germen, "From Pioneering Modernism To Revivalist Mimicry", 2015. Solo show, Erimtan Archeology and Art Museum, Ankara, Turkey.